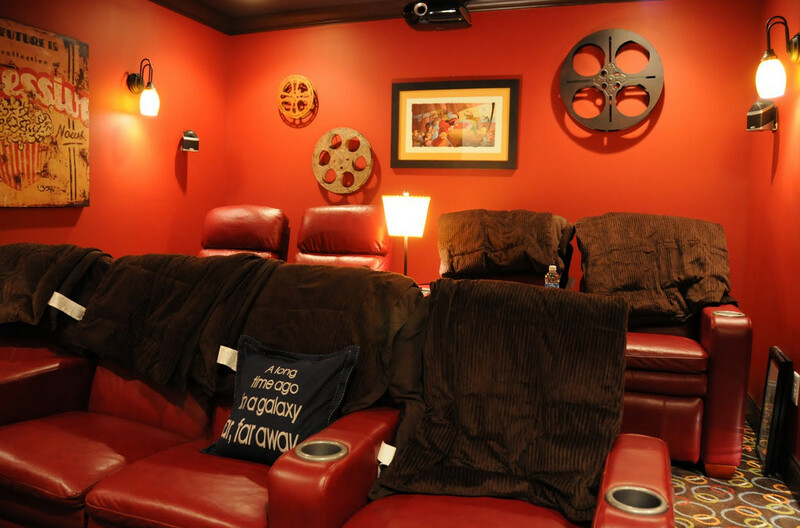 Red looks like a great color for a home theater. Look at this vintage home theater’s red elements. The whole wall is painted red while the flowery flooring material just use traces of red. The seats are red but they can be covered with black covers and still look fabulous. Wall art is done with different colored and sized reels as well as a framed landscape style picture, lights and other details. You have something like a camera on the ceiling panel too.